The unprecedented advance in digital technology during the second half of the 20th century has produced a measurement revolution that is transforming the world. However, interpreting information extracted from these massive and complex datasets requires sophisticated statistical skills as one can easily be fooled by patterns arising by chance. This has greatly elevated the importance of statistics and data analysis. In this programming course, we will be using the R software environment for all our analysis. You will learn R and data analysis techniques simultaneously. We will introduce basic R syntax to get you going. However, rather than cover every R skill you need, we introduce just enough so that you can follow along. Upcoming courses in this series will provide more in depth coverage, building upon what you learn here. We believe that you can better retain R knowledge when you learn it to solve a specific problem. Using a motivating case study, we ask specific questions related to crime in the United States and provide a relevant dataset. You will learn some basic R skills to permit us to answer these questions. The data champ platform and videos do not mesh well. The lessons teach you operations but I left the course with a shaky understanding. Some assignments are unclear and some concepts are glossed over. I had to rely on supplemental materials to actually understand the concepts, rather than just mimicking. Humans can read faster than they can listen. Thus an experienced programmer will find that reading R Cookbook (O'Reilly) is a quicker path to learning R, but this class seems to be about as good as an intro lecture-based course could be. It is mentioned in several places that this course is one of 8 courses in the Data Science series. Would you please provide more information about this?? What are the 8 courses included in the series? Are they available for use to take now? Thank you very much! The course content was too poor. Though it is a basic course, the content could have easy included more- could have included plots, loops, etc... The provider is perfect and the instructor was fine. But the presentation of the lesson videos was not impressive, and attractive. I think if we were shown the original RStudio page, via a screenplay, we could have enjoyed more. Before the course I knew nothing of the data science but I was eager to that topic. The video lectures are easily understandable, the assignments are not very difficult but they are good for practicing. I think I got basics and also I got so intrested in R as to I'm looking for courses to learn more of it. So I can recommend this course to any beginners. Very good course for beginner. 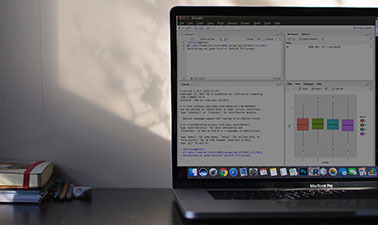 The course materials are perfect for first-time R users and aspiring data scientists. Not too hard to become off-putting and not too easy. Great course, can't wait for the rest of the series. It was very well organized and kept me interested throughout the course. Some of the tasks were a bit challenging, just as it should be. I would recommend it to anyone who wants to start learning R.
Very good course and material.. well organized content and assessment test.. I would certainly recommend to my friends about the course.. good luck! Excellent class. Really helpful instructor and lots of hands on materials. It covers the essential things you need to know and builds on material sequentially. I really look forward to taking the rest of the modules in the sequence. I am a busy professional and so being able to complete this course on my own time when I am travelling is very convenient and effective. Great course. I just used it to refresh R and will be doing the whole series. A must for people who want to learn R and Data Science.